Spoken at a time when he was still a Senator, they are inspiring words which are powerfully prophetic. Coming at the start of this particular track, which in turn is placed at just over the half way point of an eight track album, they come remarkably close to defining the fiercely intelligent and highly perceptive message being relayed throughout Book of Secrets. The album is boundlessly energetic, unapologetically direct and infused with a strong rock-oriented power, drive and focus. There is a commanding and cheerfully infectious conviction to the music which provides a sweeping sense of urgency and pressing immediacy. The songs are incisive, vigorous and spaciously dynamic, radiating a busy sense of character whilst also conveying serenity and poise. At the heart of it all, Burke treads a conflicted path between optimism and an ever present air of frustration and even pessimism. The album superbly captures the sparkling exuberance of enthusiastic belief in the future with the restrained and quieter reflections of self-doubt and the pragmatic understanding that things don’t always work out for the best. Life is beautiful, the world is a wonderful place to be, the future is rich with possibilities; but things are not necessarily what they appear to be, hope is hard won but easily lost, and all our intensity and passion stand forever on the edge of collapse. 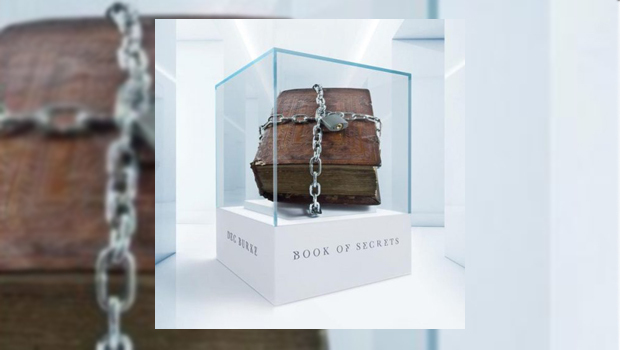 Book of Secrets is a hymn, an ode to precarious balance, to tipping points, to the momentum of the pendulum when it reaches mid-point between joy and despair. The music is an equally diverse mixture of styles, moods and competing instrumental emphases. 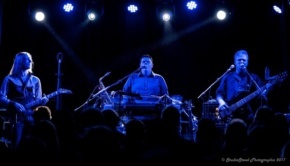 Unlike his previous releases, Burke seems to have decided to let the guitar, rather than the keyboards, be the primary lead in providing drive and impetus to the song writing. The difference is immediately noticeable and hugely impressive, not just in the lively and industrious spirit it brings to each track but also in the sheer inventiveness and technical brilliance of some of the solos he conjures up. Kristoffer Gildenlöw’s bass work is the perfect match for each mood, lively and nimble on the more boisterous tracks, but also providing a melancholic and lingering depth where required. The scintillating keyboards of Carl Westholm surge and swell in accordance with the mood, filling the sound stage one minute, falling away to become isolated and refined the next. Steve Hughes on drums is buoyant, pulsating, driving out the rhythms, blending aggression with deftness and subtlety of touch. Such distinctive virtuosity is matched by the bustling diversity of the songs. Reflection opens with the ominous sound of rolling thunder, an almost tribalistic drum beat emerging from the empty space, punctuated by a piercing electric guitar creating a distorted presence in the soundscape before they all come to a halt and a heavy drum and crunching guitar beat sets up a piano riff repeated throughout the track, offset with an urgent, pleading harmonic vocal. Beautiful layering sets up lyrical poignancy in urging a time for thought and contemplation. After a floaty, dreamy acoustic-driven intro, Hate and Lies segues, via the sound of police sirens, to a frenetic, throbbing hard rock rhythm and chorus, built on punctuated, forceful drumming and overlaid with rumbling banks of keyboards ending in the returning sound of approaching thunder. The storm carries us into The Sun Will Rise which musically, and lyrically, brings us full circle to where the album starts; an exhausting journey ending with strummed guitars and a melodic vocal calling for hope, courage and belief before becoming shrouded once more in the sound of thunder. In between we encounter the enjoyably anthemic Take and a chilled, languid piano-led ballad in the form of Intervals. This is the sheer joy of listening to progressive music when it has been so carefully conceived and delightfully crafted. A lot of time has been lavished on all aspects of getting this ‘right’. As a result, Book of Secrets is a magnificent and hugely impressive achievement. The album brims with invention and imagination, whilst repeated listens are rewarded with new insights and a deepening appreciation of the musical excellence on offer. Highly recommended.